Though most of the students who graduate want to end up in the private sector, there is still a sizeable section of these students who find the charm of working in government jobs a bit too much to ignore. And it is now that the salaries on offer currently at some of the highest paying government jobs are not that good themselves. The salaries on offer now especially after the Seventh Pay Commission rulings, are more than if not at par the average salaries that are drawn by other graduates in their first jobs. Working in government jobs is no longer considered a shame as it was a few years ago. With jobs in the administrative as well as military fields, the respect that the candidates garner from the society is another major factor in alluring the people towards the government sector jobs. Whether you are an Arts graduate or an engineering graduate, there are plenty of jobs in the government sector for you. So, we have gone ahead and collated a list of the highest paying government jobs once you finish your graduation. Public Sector Undertakings or PSUs as they are more commonly known are state-owned companies. These PSUs can be owned by either the Central government or the state governments or both. 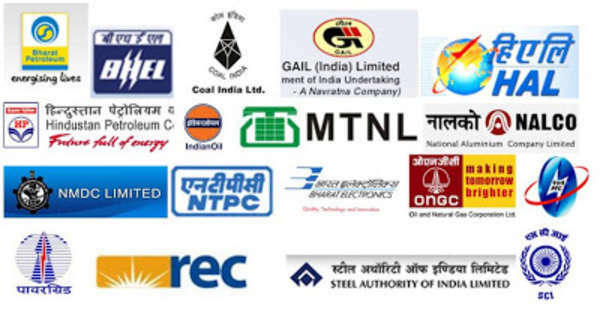 As long as the stock of the company is majority owned by the government, be it state or central, these companies are PSUs. These PSUs are classified according to the ownership. If owned by the state government, they are called State Level Public Enterprises (SLPEs). If these companies are owned by the central government, they are termed as the Central Public Service Enterprises (CPSEs). Post independence, the major aim behind setting up of these PSUs was to accelerate the growth of core sectors of the economy; to serve the equipment needs of strategically important sectors, and to generate employment and income. These PSUs are further categorised according to their overall performance. They fall under the bracket of ‘Maharatnas’ if they go three consecutive years with an average annual net profit of over INR 5000 crore. National Thermal Power Corporation, Oil and Natural Gas Corporation, Steel Authority of India Limited, Bharat Heavy Electricals Limited etc are Maharatnas. They fall under the bracket of ‘Navratnas’ if they achieve a score of 60 out of 100 based on 6 parameters. Bharat Electronic Limited, Hindustan Aeronautics Limited, Hindustan Petroleum Corporation Limited, Mahanagar Telephone Nigam Limited, Shipping Corporation of India etc are all Navratnas. Then, those companies which have made any profit continuously for the last 3 years fall under the bracket of Miniratnas. Airports Authority of India, Bharat Earth Movers, Hindustan Paper, Kamarajar Port etc are all Miniratnas. For those graduates who do not wish to enter the private sector, getting jobs at any of the high performing Public Sector Undertaking companies is the safest bet. Any of the PSUs which fall under the Maharatnas category are good paymasters. The preferred way to get into any PSU is through the Graduate Aptitude Test in Engineering or GATE as it is more commonly called. It is an examination that primarily tests the comprehensive understanding of various undergraduate subjects in engineering and science. GATE is conducted jointly by the Indian Institute of Science and seven Indian Institutes of Technologies on behalf of the National Coordination Board – GATE, Department of Higher Education, Ministry of Human Resources Development (MHRD), Government of India. Almost all of the Maharatnas have similar salary structures with ever so slight modifications. The estimated Cost to Company of most of the good performing PSUs after selection through GATE is 10 to 12 lakhs per annum, with an approximate in hand takeaway of around INR 52,000 per month with accommodation provided. 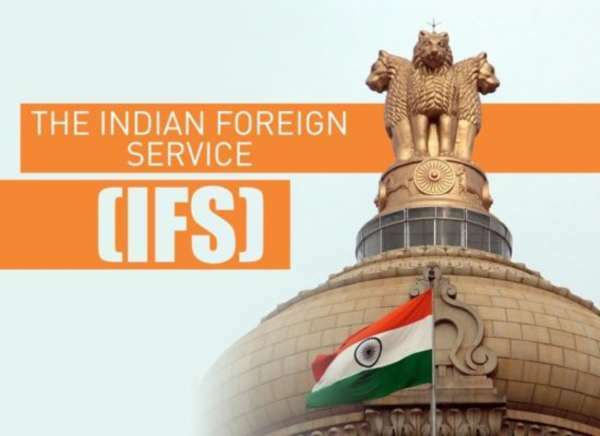 Indian Foreign Services is one of the only three all India services of the Government of India, with the other two being the Indian Administrative Services and the Indian Police Services. The Indian Forest Services were formed under the All India Services Act of 1951 in the year 1966 by the then Government of India. The main aim of the Indian Forest Services is the adherence of the National Forest Policy, which aims to “ensure the ecological stability of the country through protection and participatory sustainable management of natural resources.” An Indian Forest Services Officer does not participate in the the regular administration of the district but takes care of the administrative, judicial and financial matters in his/her own domain. Indian Forest Services Officers hold positions like Divisional Forest Officer, Conservator of Forests, Principal Chief Conservator of Forests etc. The highest ranking Indian Forest Services Officer is the Head of Forest Forces. To get into Indian Forest Services, the candidates must have a Bachelor’s Degree with at least one of the subjects which are Animal Husbandry & Veterinary Science, Botany, Chemistry, Geology, Mathematics, Physics, Statistics and Zoology or a Bachelor’s degree in Agriculture or Forestry or Engineering of a recognised university or equivalent. The age limit for Indian Forest Services is between 21 years and 30 years. 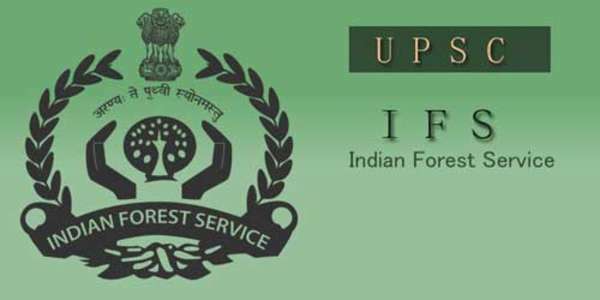 Officers for the Indian Forest Services are recruited through the All India examination conducted by the UPSC. Post their selection, they are trained for two years by the Indian government at the Indira Gandhi National Forest Academy. Post the completion of their respective training stints, they are either placed under State or Central government. If placed under the Central Government, they could be deputed as Deputy Secretary, Director, Joint Secretary, Additional Secretary etc. in the ministries, or as Chief Vigilance Officer, Managing Directors, Inspector General etc in Institutes and Academies. They can also be deputed to foreign governments, United Nations bodies, NGOs etc. A new entrant into the Indian Forest Services as an Assistant Conservator of Forests draws a monthly salary of at least INR 56,000 per month. Provincial Civil Service or PCS as it is commonly known as, is the administrative civil service under the various state governments of India. It comes under the Group A state service of the state level administrative civil services. It along with Provincial Police Service and Provincial Forest Service is the feeder civil services for the Indian Administrative Services in the respective states. Provincial Civil Services officers take care of administration and maintenance of law and order at sub divisional, district, divisional and state levels. The Departments of Appointment and Personnel of the respective state governments are the ones who decide the cadre of the candidates. The selected candidates cannot be posted outside their respective states. After completing their training, Provincial Civil Services Officer operates at the tehsil level as an SDM. Post that, they are promoted to City Magistrate and then, Additional District Magistrate. Majority of the districts have two to three posts of ADMs ranging from City ADM to Finance ADM to Executive ADM. After a few years serving as ADM, they are further promoted to Chief Development Officer and look after rural development. If deputed at the State Secretariat, Provincial Civil Services officers serve as special secretaries, joint secretaries and, in rare instances, as deputy secretaries. The examination for the Provincial Civil Services is conducted by the respective State Public Service Commissions of the states. All the states have different syllabi for the examinations of Provincial Civil Services. The difficulty levels differ too. Though these examinations are deemed easier than the UPSC IAS examinations, a few subjects different from those in the All India level examinations should be focused on. 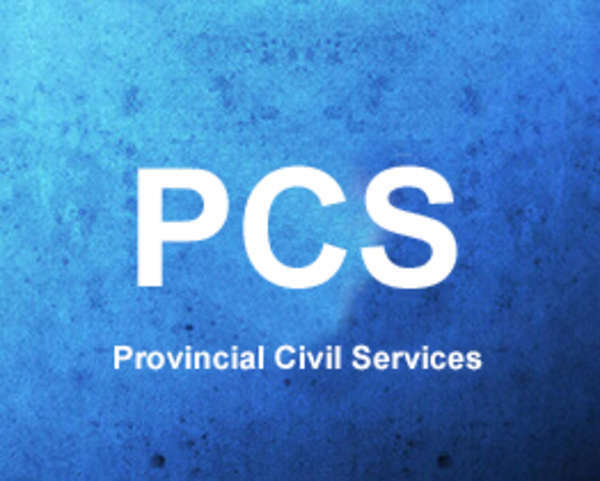 One third of the quota of the PCS cadre officers comprises of officers promoted from the Lower Provincial Civil Services. At the entry level, Sub Divisional Magistrates, Under Secretary at State Secretariat draw a monthly salary of close to INR 55,000. Indian Space Research Organisation & Defence Research and Development Organisation have been doing India proud for quite some years now in their respective fields. ISRO is the national space organisation which has its headquarters at Bangalore, Karnataka. Formed in 1969, ISRO is overseen by the Department of Space which in turn reports to the Prime Minister of the country. Way back in 1975, ISRO built the first satellite of India, Aryabhatta. ISRO had been creating ripples in the global space scene by coming up with ‘cheaply’ built space explorers, much to the chagrin of other space organisations. ISRO sent the lunar orbiter, Chandrayaan 1 in 2008 and followed it up with Mars orbiter, Mars Orbit Mission in 2013. 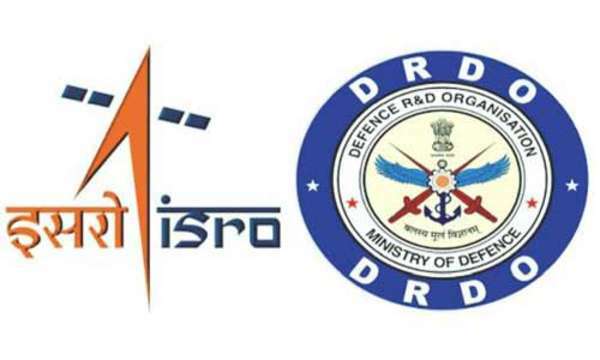 DRDO is the organisation which is responsible for the military’s research and development. It has its headquarters in Delhi and was formed way back in 1958 by merging Technical Development Establishment and the Directorate of Technical Development and Production with the Defence Science Organisation. Its purview falls under the Ministry of Defence. With a vast network of 52 laboratories, which are engaged in developing defence technologies covering various verticals like aeronautics, armaments, electronics, land combat engineering, life sciences, materials, missiles, and naval systems, DRDO is India’s largest and most diverse research organisation. To become a scientist in ISRO, one has to opt for Maths and Science as the major subjects during the secondary school. There are many routes to get into ISRO, the ‘easiest’ amongst them being securing admission into the Indian Institute of Space Science and Technology. ISRO also selects graduate and post graduate engineers from IITs, NITs and other government colleges throughout the country. Once the prospective candidates have passed out from the colleges, they would still need to clear ISRO Centralised Recruitment Board and then perform exceptionally well in the ensuing interview. All the candidates must have a minimum of 65% throughout their graduation to qualify. Like ISRO, DRDO too has various routes to become a scientist. To become a Scientist – A at DRDO, the B.Tech/B.E graduates can write the DRDO SET Examination. To become Scientist – B, the final year students of B.Tech/B.E/B.Sc can apply during campus recruitment drives which are conducted at various IITs, NITs, IISc and other universities. To become Scientist – C, fresh PhD students who have been able to defend their thesis can also apply for the role of a scientist at DRDO. The new entrants as scientists draw salaries close to INR 55,000 per month along with accommodations. 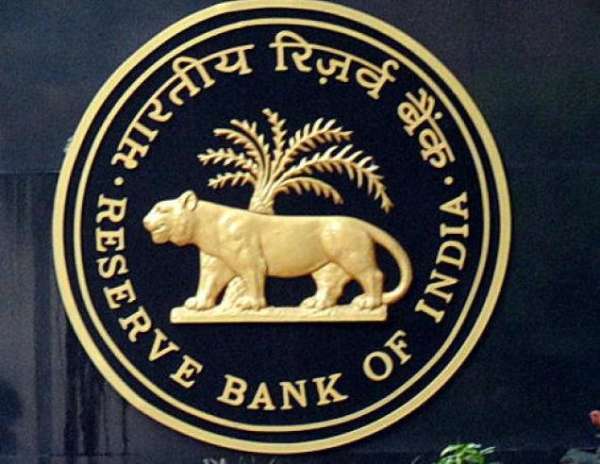 The Reserve Bank of India (RBI) is the central bank of India which has been entrusted with the responsibility of controlling the monetary policy for the Indian rupee. With the initiation fo the Reserve Bank of India Act of 1934, RBI began its operations in 1935. Post independence, RBI was nationalised on 1 January, 1949. The RBI plays a pivotal role in the development strategy of the Government of India. A 21 member board comprising the governor; 4 deputy governors; 2 finance ministry representatives, 10 government-nominated directors to represent important elements of India’s economy and 4 directors to represent local boards headquartered at Mumbai, Kolkata, Chennai and New Delhi are the helm of the RBI and manage its day to day operations. The RBI has 4 zonal offices at Chennai, Delhi, Kolkata and Mumbai along with 27 regional offices and 4 sub offices. Te major aim of the RBI is to undertake consolidated supervision of the financial sector comprising commercial banks, financial institutions and non-banking finance companies. It is also the regulator and supervisor of the financial system and prescribes broad parameters of banking operations within which the country’s banking and financial system functions. The entry level officers at the RBI are termed as Grade B officers. To apply for Grade B officers, the candidates must be between 21 and 30 years of age. He/she must have scored a minimum of 60% marks through his/her graduation. The RBI Grade B officer examination is conducted in three phases which are preliminary followed by the Main examination post which the interview round is conducted. The preliminary exam consists of questions on general awareness, quantitative aptitude, English language and reasoning. The Main examination comprises questions on economics and social issues, finance and management along with English. An entrant as the RBI Grade B officer draws a salary of INR 63,000 per month. No job in India is revered and looked up to as is the Indian Armed Forces. Whether you are a soldier or an officer, no job can come close to the kind of respect and security an Indian Armed Forces personnel garners. Indian Armed Forces comprises three professional uniformed services which are the Indian Army, the Indian Navy and the Indian Air Force. These three forces are further supported by the Indian Coast Guard along with paramilitary services like the Assam Rifles and the Special Frontier Force. The President of India is the commander-in-chief of the Indian Defence Services or the Indian Armed Forces while they are managed by the Ministry of Defence under the patronage of the Indian government. The Indian Armed Forces are the world’s second largest military forces in the world with more than 1.4 million active military personnel. The Indian armed force are split into different groups based on their region of operation. The Indian Army is divided administratively into seven tactical commands, each under the control of different Lieutenant Generals. The Indian Air Force is divided into five operational and two functional commands. Each Command is headed by an Air Officer Commanding-in-Chief with the rank of Air Marshal. The Indian Navy operates three Commands. Each Command is headed by a Flag Officer Commanding-in-Chief with the rank of Vice Admiral. The recruitment of officers into the Indian Armed Forces happens through various examinations like NDA, CDS, AFCAT etc. Every officer then has to pass through the National Defence Academy at Khadakvasla, Pune. 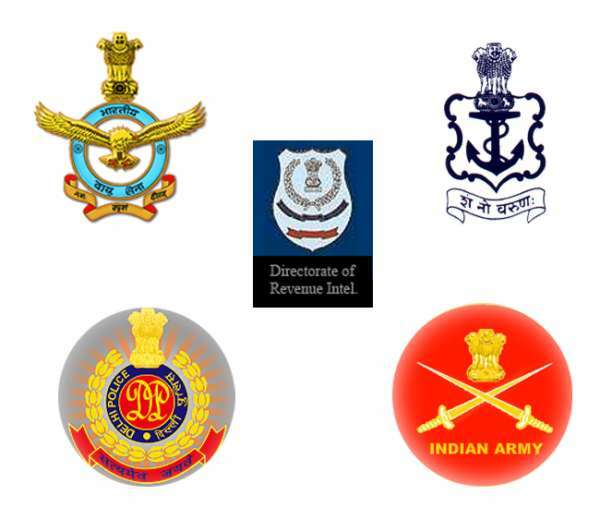 Post that, every service has their own training institute which include the Indian Military Academy in Dehradun, Indian Naval Academy in Ezhimala and the Air Force Academy at Hyderabad amongst others. Once the officers are commissioned, they are posted as per their orders through the country. The entry level salary for the officers in the Indian Armed Forces is close to INR 60,000 per month along with an accommodation, food and a few exclusive perks. 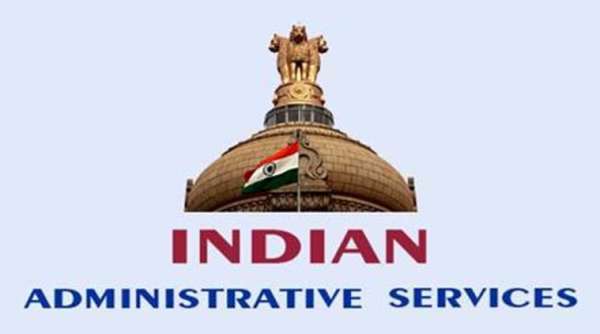 The Indian Administrative Services or I.A.S is the administrative service of the Indian government and is rightly considered as one of the most premier government jobs in the country. The Indian Administrative Services fall under the bureaucracy of the country and is a part of the executive arm of the Indian government. There are three different ways of entering into the Indian Administrative Services. The major route to get into IAS is through the Civil services examinations. These officers are termed as direct recruits. A few officers are promoted from the state civil services. In rare cases, a few officers are promoted from the non state civil services too. The ratio between the direct recruits and those who are promoted is fixed at 2:1. Every year, only 180 candidates out of more than 1 million applicants who write the Civil Services Examinations are able to make their way into the premium cadre of officials. Once selected as an Indian Administrative Services official, they receive direct training with their home cadres and are then posted. In state administration, they are in charge of a district sub division as an SDM and are responsible for maintaining law and order along with general administration and development work. Once their training gets over, the IAS officers are assigned to different roles in the state and union governments. On attaining the apex scale (post a maximum of 16 years as SDM), IAS officers may go on to lead government departments or ministries. In these roles, IAS officers represent the country at the international level in bilateral and multilateral negotiations. A new cadre policy was announced in 2017 under which the existent 26 cadres were divided into 5 zones and a candidate had to first choose their zones of preference and then chooses a cadre. A new entrant into the Indian Administrative Services receives a salary in the area of INR 80,000 per month along with a bungalow for a house and an official vehicle and driver. Indian Foreign Service is the administrative and diplomatic civil service under the Central Cicil Services of the Government of India. Indian Foreign Service, along with the Indian Administrative Service is considered to be the premier most Civil Services in India. The Ambassador, High commissioner, Consul General, Permanent Representative of India to the United Nations and Foreign Secretary are a few of the roles that are fulfilled by members of the Indian Foreign Services. In 1946, on the eve of India’s independence Indian government had established the Indian Foreign Service in order to represent diplomatic, consular and commercial interests of India in overseas areas. The civil services examination is used for choosing the members of the Indian Foreign Services. It is one of the most rigorous processes in the world and lasts for 12 months. To get into the Indian Foreign Services, the candidate has to be amongst the very toppers in the Indian Civil Services Examinations. The Indian Foreign Services has a measly acceptance rate of only 0.02%. In recent years, the total batch size per year of the Indian foreign Services has been around 25-30 candidates. On being selected for the Indian Foreign Services, the candidates are on a probation and undergo a 15 week initial training at Lal Bahadur Shashtri National Academy of Administration at Mussoorie. Post the initial training, the probationers join the Foreign Service Institute in New Delhi for a more intensive training in a host of subjects important to diplomacy, including international relations theory, military diplomacy, trade, India’s Foreign Policy, History, International Law, diplomatic practice, hospitality, protocol and administration. Once they finish the training at Foreign Service Institute, the now officer is assigned a compulsory foreign language (CFL). Then they have to complete a brief period of desk duty at the Ministry of External Affairs before he/she is posted abroad to an Indian diplomatic mission. The major functions of an Indian diplomat are to represent India in his/her Embassies, High Commissions, Consulates, and Permanent Missions to multilateral organisations like UN and to protect India’s national interests. Though the salary of a new joinee would be equal to that of other candidates of Indian Administrative Services, the Indian Foreign Services officers posted abroad would get an additional Foreign Allowance to the tune of US $3,000 to US $5,000 per month.